The Holy Month of Ramadan can be a testing time in the life of the married couples in Islam and if they are successful in passing the month without any hiccups in their relationship, Allah is immensely pleased. Fasting from dawn to dusk involves not eating, drinking and engaging in intimacy from the time it starts to the time it ends. Most people, though willing to fast for the sake of Allah, find it difficult to maintain their composure during the holy month when their appetites cannot be satisfied. Hunger and thirst get to a person and makes them angry, impatient and sour. The same test is presented to the husbands and the wives who have to face the entire day with each other, being patient and composed. There are many ways for a husband and wife to make their Ramadan the best month of their marital year and get Allah’s blessings in return too. For starters, Ramadan is a perfect opportunity for couples to pray together. When a husband and a wife wake up for sehri together, it is a chance for them to offer tahajjud together before they prepare their meals, asking Allah to bless their marriage, give success and happiness to their offspring and to take them to the right path. Thereafter, Ramadan is also an opportunity for husbands to appreciate how much their wives do in terms of taking care of their household. When sehri is being prepared, husbands can give their wives a helping hand, maybe compliment their style of management of the kitchen, say something sweet and kind. On weekends, which otherwise would have been spent going out for lunch or to the malls, couples can sit together and plan their goals for the Holy Month. The wife can proclaim that she will read 2 siparas whereas the husband can say he will read the translation of the same and swap places the next day. Both can get an opportunity to work on the closeness with Allah by explaining what they thought of each verse of the Quran or more. Husband can pledge to memorize atleast one surah of the Quran. 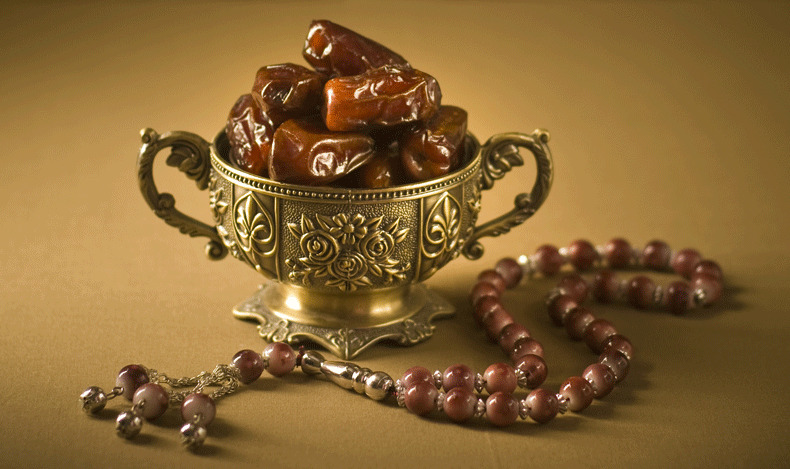 Thus both can make a list of things to do during the holy month and mark them off one by one. This would give them a collective sense of pleasure and also attain Allah’s pleasure as this is also one way that they will be spending more time with each other, thus strengthening their relationship. Ramadan, particularly when you’re fasting, can be a difficult time to have full-fledged discussions about important matters with your spouses. Both the husband and wife are likely to get triggered by something that would not have affected them had they not been fasting. But like I said, fasting exposes the true moods of people and hence it is better to leave important and emotional discussions for when you both have a fuller stomach. For example if the wife wants to discuss the progress of her child in school it is better to leave it for after iftar. Husbands and wives should give each other space, specially during this month. As well known, couples are not allowed to be intimate during the time that they fast. However, it is allowed once the couple break their fast. It is said in the Quran “It is made lawful for you to go unto your wives on the night of the fast. They are raiment for you and ye are raiment for them.” (Surah Al-Baqarah 2:187). Even though most couples know this, they should discuss and set a time aside to be intimate during the holy month. For example, the husband might have a longer taraweeh than the wife after the fasting ends. In such a situation the wife should be patient and hence it is advisable that an appropriate time is set that is suitable for both. This even makes it more romantic. Most importantly what couples must remember is that Ramadan is the most beautiful month for them to connect because it is the month in which the shaitaan is chained and locked up! What better month is there to defy the shaitaan completely by making your marriage the happiest one, than the month of Ramadan? The shaitaan would like nothing better to ruin marriages and in this month the Muslim couples get free\e reign to build onto them without the interference of evil! Muslim couples should make full use of this blessing and IA get closer to each other, thus defeating shaitaan.